International flights: U.S. - Oslo - U.S. Arrive at your U.S. departure airport, ready for a flight to Oslo. Arrive at Gardermoen airport and transfer to the hotel. 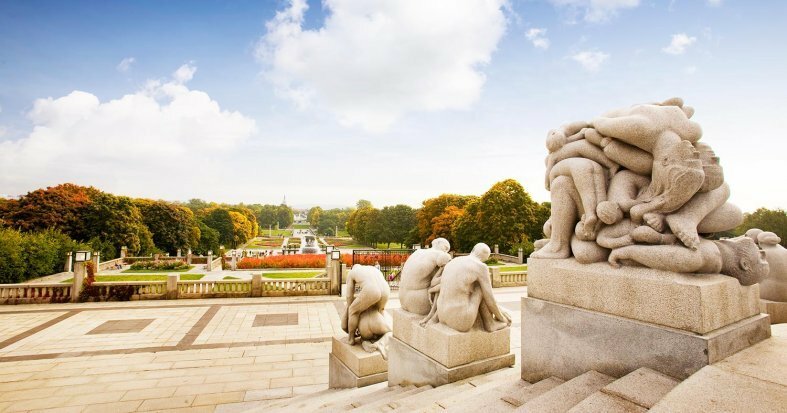 * Oslo is the capital of Norway and a great place to discover the local culture and cuisine. The city is known for its cosmopolitan atmosphere, its green spaces and its numerous museums, many of which are dedicated to the country's Viking heritage. Dinner and overnight stay in Oslo. Breakfast at the hotel. Depart towards the Geiranger Fjord to take a relaxing mini-cruise. On the way to the fjord, see the beautiful Church of Lom and if the weather permits, take the panoramic Eagles road to a viewpoint that rises over the fjord, to admire the unbelievable views. Discover the most attractive sight on the Fjord: The majestic Seven Sisters Waterfall, consisting of seven different streams of water. We recommend an optional Sogneford excursion. 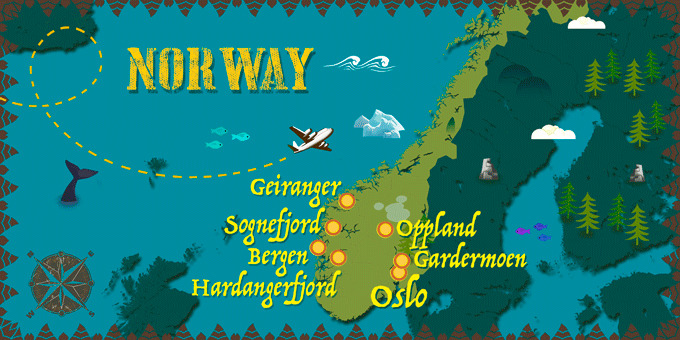 *Afterwards, head to the Førde region, to check in to your hotel. Dinner and overnight stay in Sogn og Fjordane. Breakfast at the hotel. 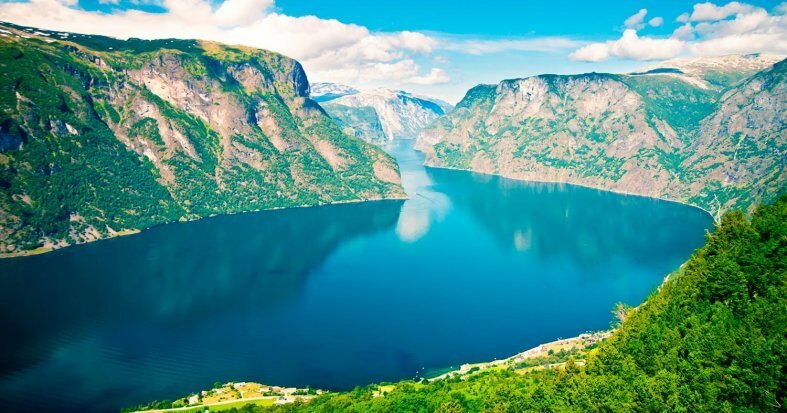 Set off into the landscapes of this land of fjords, and pass by the iconic Sognefjord, one of the most famous and beautiful in the whole of Norway. Continue to Gudvangen, and enjoy some free time in the quaint village, nestled at the base of the Angosto fjord. Continue to Voss where you can explore at your leisure until finally arriving in Bergen the 'capital of the fjords'. Tour the city with a guide for an overview of its sights and history. Transfer to the hotel. Dinner and overnight stay in Bergen. 7th Day: Oslo - U.S.
Breakfast at the hotel. At the indicated time, transfer to Gardermoen airport for your return flight back to the U.S.* Arrive in the U.S. and end your trip.